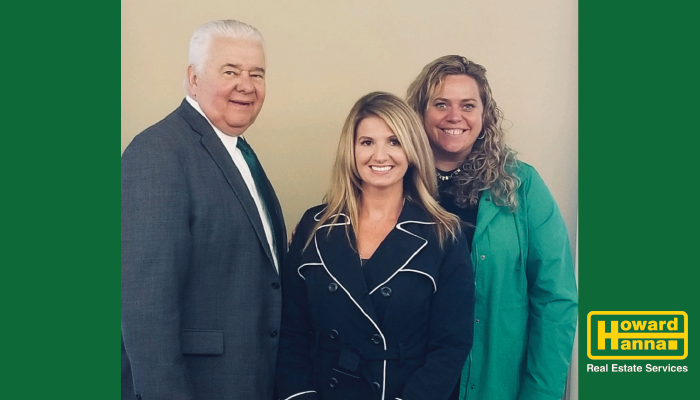 Butler, PA (April 2, 2019) – On March 29, 2019 at a luncheon held at the Butler Country Club, President of Howard Hanna Pennsylvania Tom Ceponis and Vice President/Regional Manager Kelly Hanna Riley joined agents from the Bulter office to welcome Ashley Miller as the new Sales Director. After a career in the corporate sales world and working for a prominent Pittsburgh homebuilder, Miller got her real estate license and has never looked back. She comes from a real estate family, as her grandparents owned Jaksec Real Estate in Southern Butler County for many years. Ashley Miller can be reached in the office, located at 130 Bon Aire Plaza in Butler, at 724-282-7903, or ashleymiller@howardhanna.com. Howard Hanna Real Estate Services is the 3rd largest real estate company in the United States, the #1 privately owned broker in the nation, and the largest home seller in Pennsylvania, Ohio, and New York. The family-owned and operated real estate company specializes in residential and commercial brokerage service, mortgages, closing and title insurance, land development, appraisal services, property and casualty, corporate relocation, and property management. With 312 offices across PA, OH, NY, VA, MI, WV, MD, and the Carolinas, more than 11,000 sales associates and staff are guided by a spirit of integrity in all aspects of the real estate process. For more information, visit www.howardhanna.com or www.facebook.com/howardhanna.